Successfully Added Xiaomi Mi Alarm Clock - Bluetooth 4.1, One Key Operation, 5W, 2600mAh Battery, 10m Bluetooth Range to your Shopping Cart. Never oversleep again with the Xiaomi Mi Alarm Clock. This beautiful music alarm clock allows you to wake up comfortably to the sounds of your favorite songs. 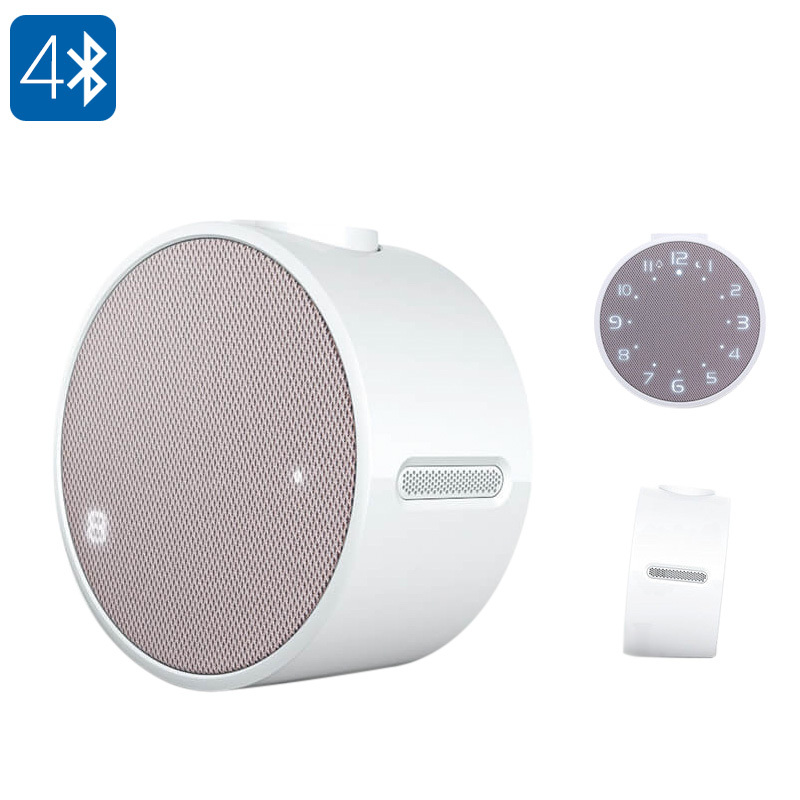 It supports Bluetooth 4.1 connectivity thanks to which it can be easily synchronized with your smartphone. Once done so, you’ll be able to select any song from your music library to wake you up in the morning. This music alarm clock lets you enjoy high-quality audio and takes away the annoying smartphone vibration. This offers you the perfect start to each day by letting you wake up in a comfortable and natural manner. With its 10m Bluetooth support, you won’t even need to keep your phone near. This takes away potential distractions and makes sure you won’t be exposed to smartphone radiation at night. This Xiaomi Mi Alarm Clock features a stylish and sleek design that goes perfectly along with the interior or any bedroom. With its one key operation mode, the gadget is easy to operate. It has been crafted out of high-quality PC and ABS material that gives this music alarm clock a premium look. With its 2600mAh battery, you’ll be able to use it for days in a row without the need of an external power supply. Naturally, it can also be used with its micro USB charging cable to offer unlimited usage time. This Xiaomi Alarm Clock comes with a 12 months warranty, brought to you by the leader in electronic devices as well as wholesale electronic gadgets..